Teachers are a special breed of humans, and they deserve our gratitude and love. So why not give them a handmade bag that is filled with treats? The best part of this project is that you can have your favorite student help you make it. 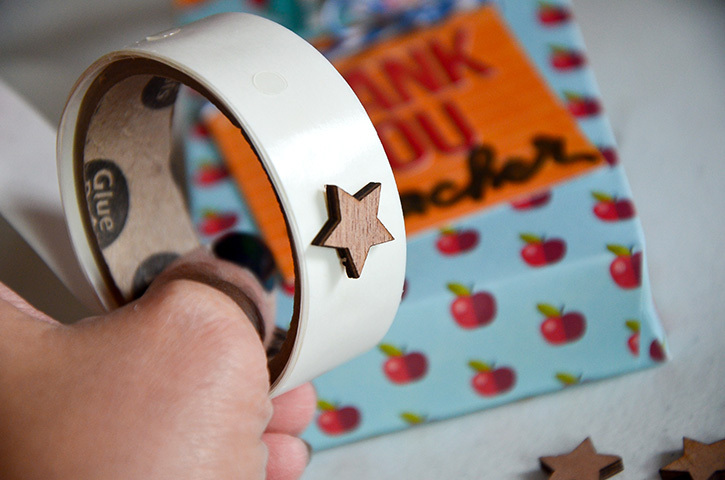 With a few themed school products and some Glue Dots® adhesives, the process will be a breeze and the result will be something you and your child will be proud of. 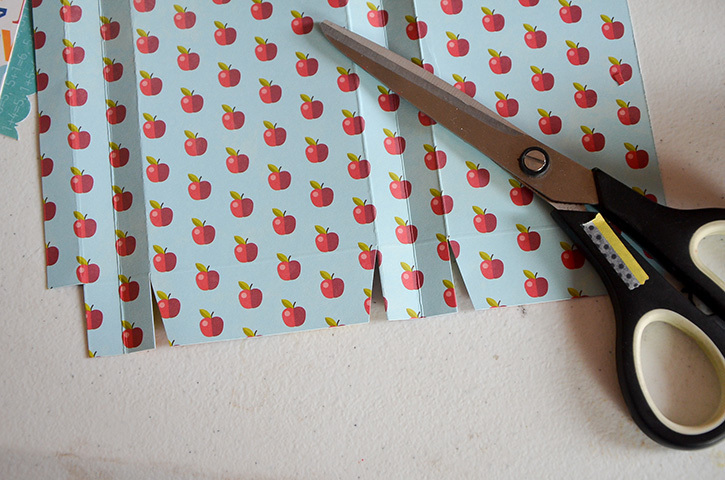 Cut a piece of pattern paper to an 8 ½" x 5 ½” size. Score the paper at the 3, 4, 7, 8, and 8 ½-inch marks. 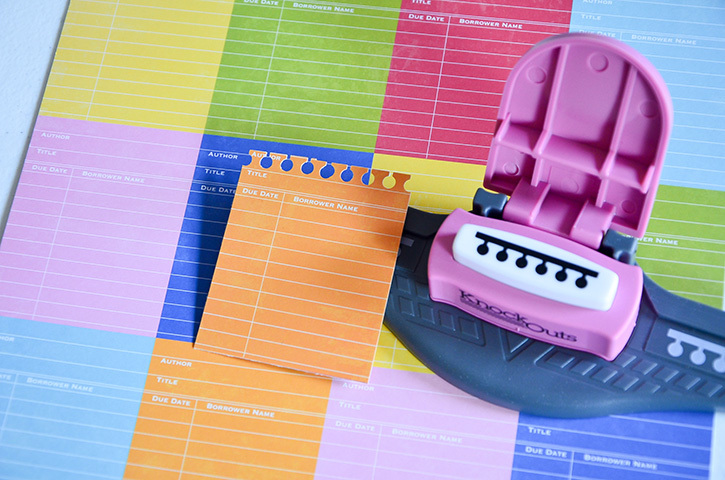 Turn the paper vertical and score 1” from the right edge. Fold on the score lines to define the crease. Cut at the score marks on the bottom of the bag (the one with the 1” horizontal line) and cut it at an angle to make it easy to fold the pieces over each other. Build your bag. Adhere the ½” folded end to the other side of the bag using some Glue Lines. 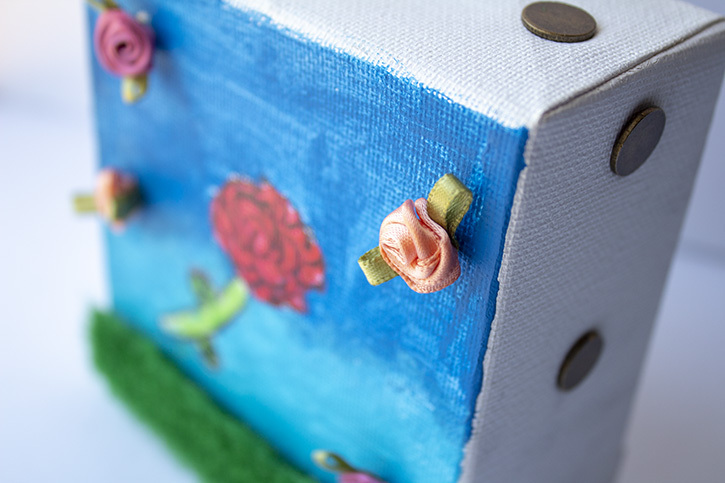 Fold the bottoms to form a box and secure it by adding more Glue Lines. 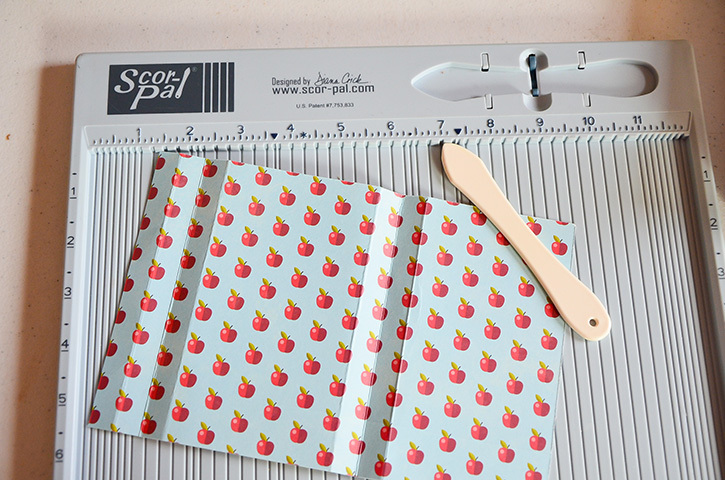 Punch out a scallop border from a pattern paper. 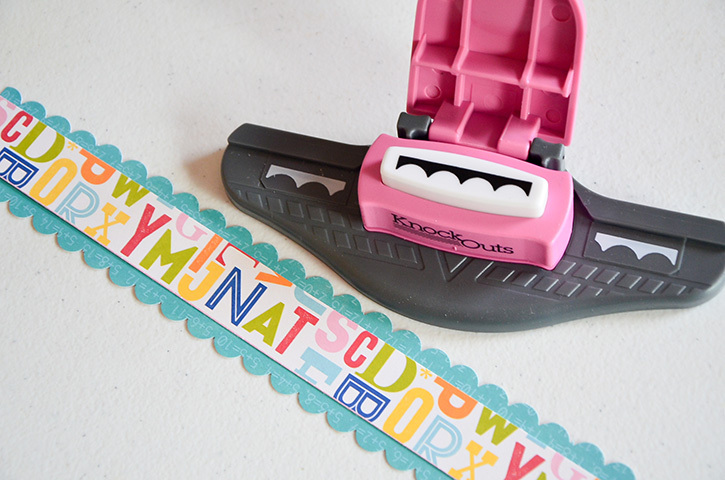 Cut into a strip. 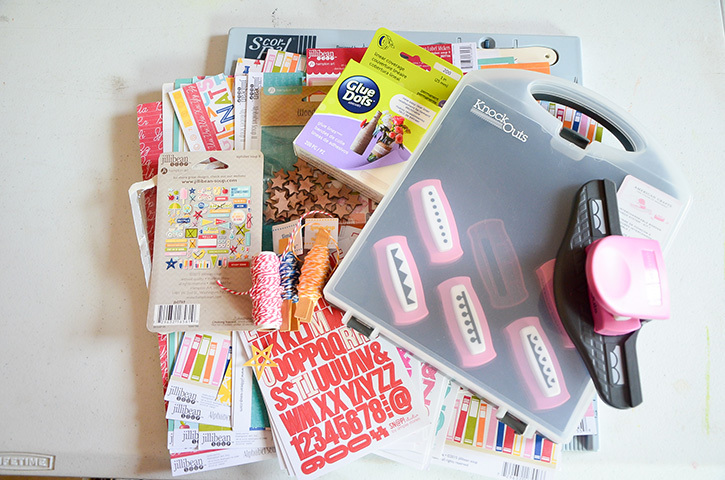 Trim that strip into smaller 3” strips and adhere to the front and back side of the bag using Glue Lines. Make sure to adhere to the inside edge for a cleaner look. Cut another strip of paper, about 2.5” in width and then add some scallop border to the two long ends. 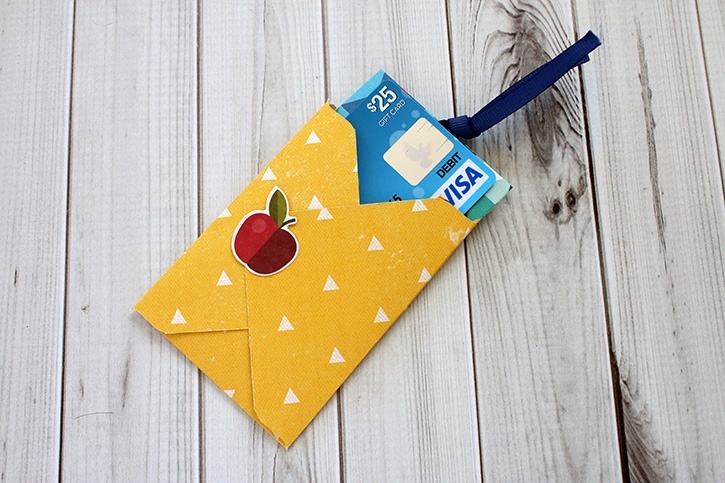 Measure the center of the border and cut another piece of pattern paper to fit that space. Adhere that strip to the scallop border using some Glue Lines. Cut out one of the pattern papers that look like a library index card. 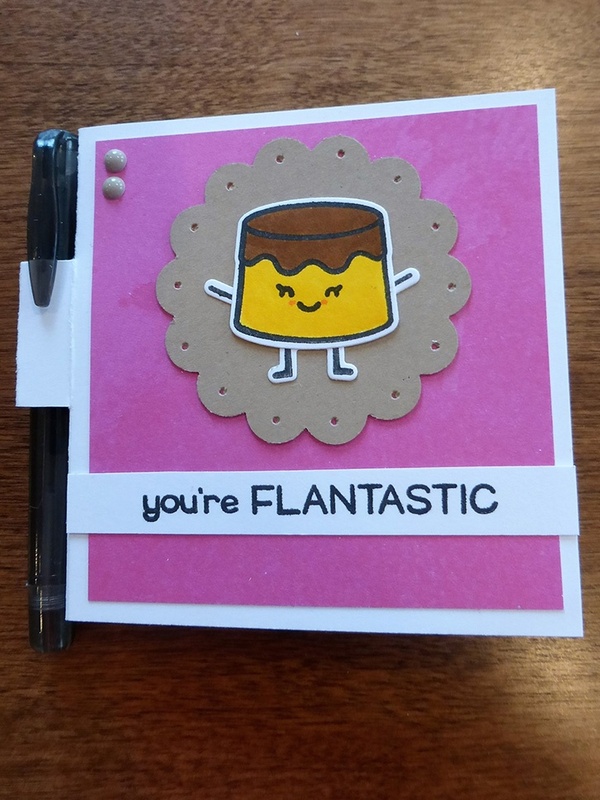 Add a notebook punch border on the top. 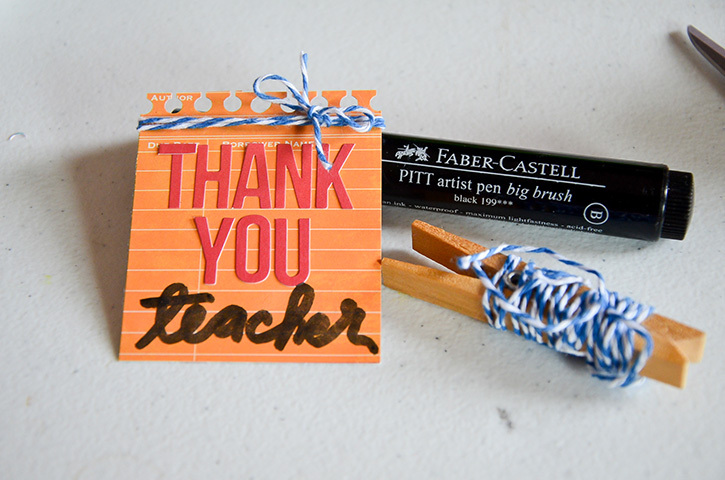 Add the letter stickers to spell out “Thank You” then hand write the word “Teacher” with black marker. Adhere this piece to the center of the bag using some more Glue Lines. Bend/roll the scallop strip to form the handle of the treat bag. 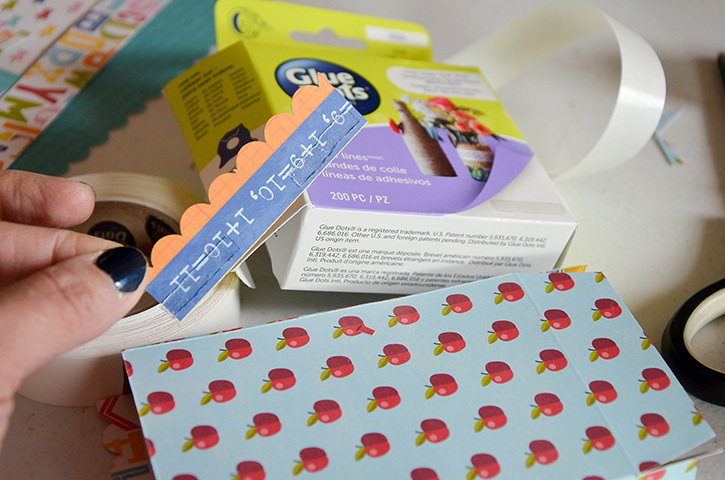 Adhere the ends to the body of the bag using more Glue Lines. 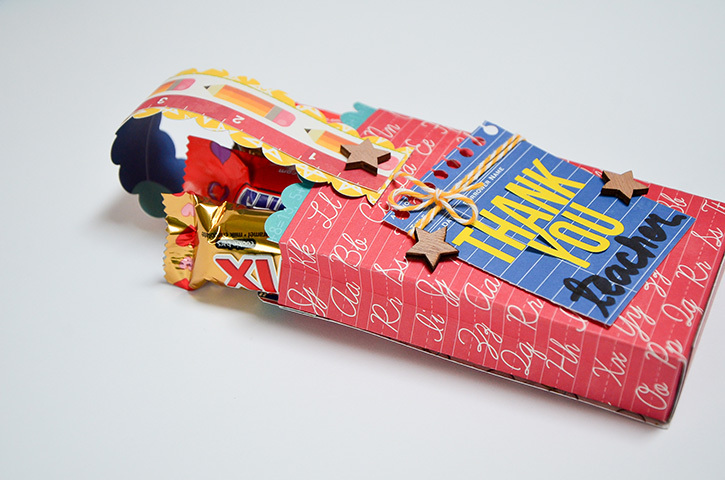 Add chipboard stars to the bag using some Mini Dots. 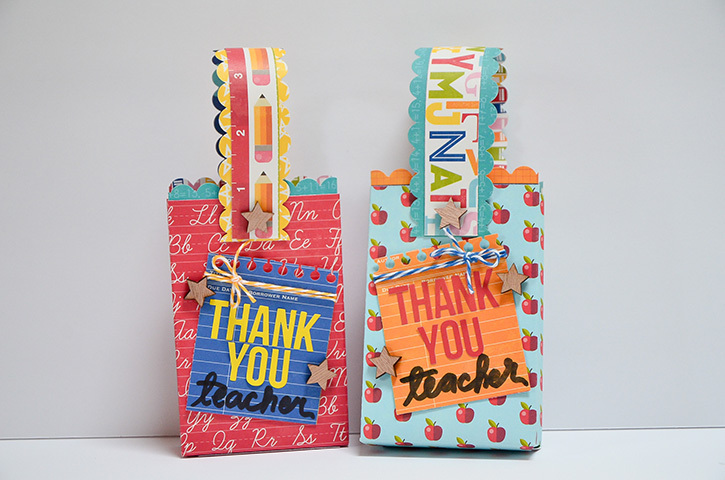 Fill with treats and give to your favorite teacher.